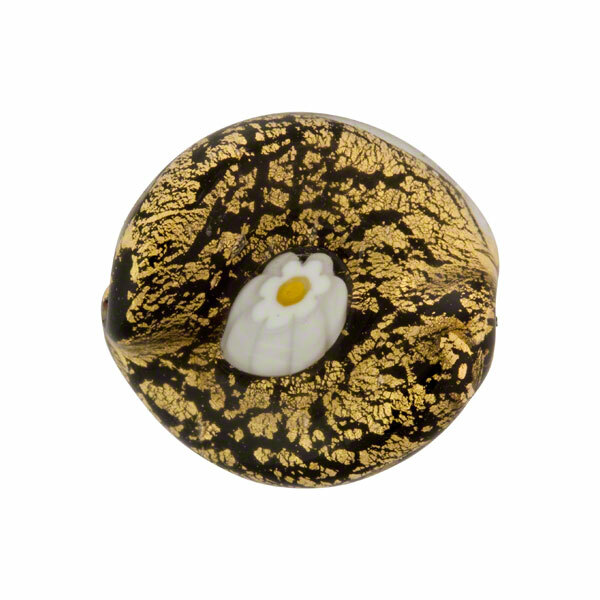 This is a 20mm x 18mm twisted leaf in the Ca'd'oro pattern(cracked gold) with a black base and 24kt gold foil and a single slice of millefiori on each side, all encased under a layer of clear glass. A 1mm hole runs through the center of the bead. 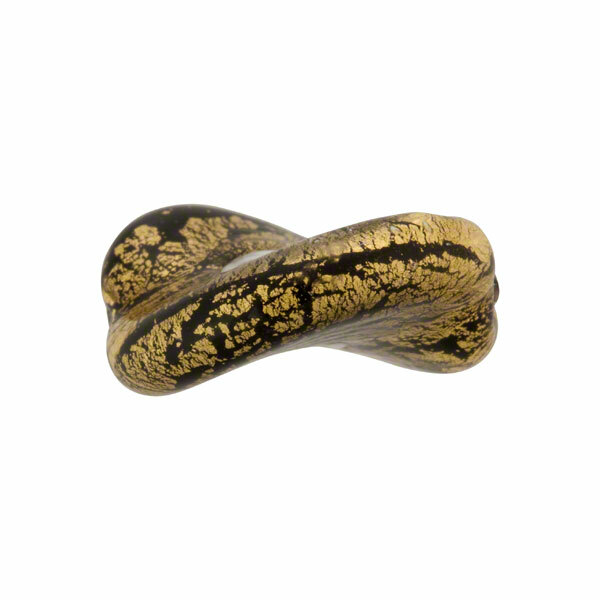 This bead is ideal for earrings or bracelets.